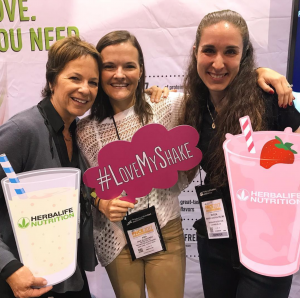 The Herbalife Nutrition Dietetic Advisory Board (DAB) is made up of 16 dietitians and nutritionists around the world whose mission is to educate our independent distributors on the importance of good nutrition. Ana Cristina Gutierrez is on our DAB from Costa Rica. Ana is a licensed nutritionist and holds a Master’s degree in Nutrition. I asked Ana to tell us about herself and describe a typical healthy meal in her country of Costa Rica. How long have you been working with Herbalife Nutrition? I celebrated 5 years with the company in November 2017. I used to be a member of the Nutrition Advisory Board (NAB) until Susan formed the DAB in 2014. Why did you choose nutrition as a career? I have always been passionate about eating healthy and staying active through sports and so I thought: why not teach people how to eat healthy? And I’m so glad I chose this career because I really enjoy helping people understand the importance of good nutrition. Helping people understand how eating healthy can provide quality of life and wellness, too. When people lose weight and feel happy, that makes me think I’m in the right place. Everyone, even nutritionists, has a ‘guilty pleasure’ when it comes to food. What’s yours? If you had just one piece of nutrition advice to give to someone, what would it be? Go step by step, don’t try to do everything on the same day or month. Gradual changes are better than drastic changes. It is important to have a quality of life that incudes eating healthy and exercise. What are some of the latest diet and nutrition trends in your country? Paleo diets and Detox diets. If you weren’t a Nutritionist, what would you be? I would probably be a physician. My schedule can get very busy with work – I have my private clinic where I see clients 3-4 days of the week – and getting my kids off to school, taking them to afterschool activities, homework, dinner made, etc. Despite my busy schedule, it is important to me that I be a good example to my clients, so I try to stay active and play tennis at least 4 times a week in the middle of my day so I don’t sacrifice time with my kids when they come home from school. At night I try to organize menus and snacks for everyone at home and have a nice dinner with my husband. A typical “super mom”! When I travel with Herbalife Nutrition, I enjoy exploring new places, eating unique foods and making new friends. It’s also my time to sleep, read and watch movies. What is your favorite Formula 1 shake recipe? Do you have a favorite recipe that represents Costa Rica?